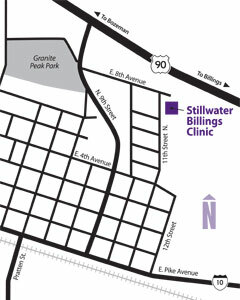 We Welcome You to Stillwater Billings Clinic! 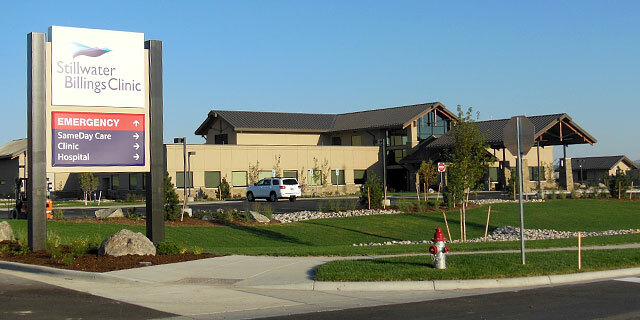 Stillwater Billings Clinic is located at 710 N. 11th Street in Columbus (which is just East of Town Pump off the I-90 Exit). The new integrated hospital and clinic facility, which opened in September of 2012, brings together a physician clinic and hospital services to deliver quality coordinated care that is convenient for our patients. The Emergency Room and 10 bed Acute Care Wing access is located on the East side of the building. All other services are most easily accessed through our main entrance on the West side of the building. Monday-Friday 8 am – 5 pm and Saturdays 8 am – 12 pm by appointment. Monday – Friday: 8 am – 4:30 pm. Located in the center of Columbus at 407 North A Street – in the old Clinic building. FAP eligible individuals can not be charged more than the amounts generally billed (AGB) for emergency or other medically necessary care.